Funnel-web spider venom may one day be used to save the lives of stroke patients, new research shows. 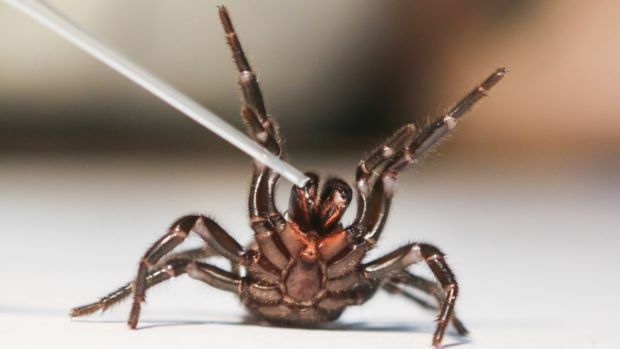 A peptide found inside the venom of the Fraser Island funnel-web spider has been found to slow the death of brain cells in rats after they suffer an induced stroke. Stroke is one of Australia's biggest killers and cause of disability. According to the Stroke Foundation, there will be more than 55,000 new and recurrent strokes this year. Every 10 minutes an Australian suffers a stroke, when the brain is starved of blood by either a blocked artery (the most common) or a haemorrhage in the brain itself. Professor King told Fairfax Media that, in cells starved of oxygen, the peptide in the venom (Hi1a) blocks the signal that initiates programmed cell death, keeping the neurons alive. The research, published on Tuesday in the Proceedings of the National Academy of Sciences, showed that the Hi1a peptide was effective in rats even eight hours after a stroke. "This could provide a good window of protection for treatment of the stroke to occur," Professor King said. His hope is that any drug developed from the funnel-web venom can be applied by paramedics before the patient's arrival at hospital. "There are two main stroke types and neurologists can't treat patients until they know which one they are dealing with," he said. His hope is that any drug developed from the funnel-web venom will keep neurons alive after both types of stroke as patients are taken to hospital. "Time is neurons saved," he said. While Professor King is optimistic there is a "clear path forward to clinical trials in two years", others in the field are more cautious. "It's a very exciting discovery and a very big effect," said Neil Spratt from the University of Newcastle John Hunter Hospital. "However, two years is very, very ambitious." Professor Spratt, a neurologist who leads the stroke translation laboratory at the University of Newcastle, said the study relied on injecting the peptide directly into the rats' brains. "We can't do that with a stroke patient," he said. "They are right to be excited but how they get any drug into the brain is a hurdle they need to cross," said Professor Pratt, who was not connected with the study. His caution was echoed by University of Sydney clinician Craig Anderson. "It's a very interesting and promising study," he said. "But even if it has application, nothing will be developed for decades. "What looks promising in rats can fall away by the wayside," he warned. Professor King said where previous rat studies had failed was the short time span of efficacy studied. "None of the other studies in rats showed efficacy after eight hours," he said. Professor Anderson, a director of neurological and mental health at The George Institute, said: "The key to reducing damage is restoring blood flow as quickly as possible, so the direction of this research will be on top of proven therapies." Stroke Foundation clinical council chair Bruce Campbell said: "This research is very interesting, however more work needs to be done." Professor King said the peptide had been found in the Fraser Island funnel-web. "There are 35 species of funnel-web," he said. "We assume there will be similar peptides in others, such as the Sydney funnel-web." A POTENTIAL new drug to tackle a highly aggressive type of breast cancer has been discovered by a Bradford researcher. Professor Mohamed El-Tanani from the University of Bradford’s Institute for Cancer Therapeutics has also developed a way of delivering the drug directly to the cancer cells. Laboratory tests have shown when the drug is added to hard-to-treat breast cancer cells, the cells actively take it in and their growth rate is reduced. The drug is a peptide, a fragment of a protein, which Prof El-Tanani found out is able to block out another protein called RAN which helps cancer cells to divide and grow. High levels of RAN have been linked to aggressive tumour growth, cancer spread and are resistance to chemotherapy often ending in poor prognosis in a number of cancers, including triple negative breast cancer (TNBC). Between 10 to 20 per cent of breast cancers are found to be triple negative which means they do not respond to hormones oestrogen and progesterone or the protein HER2, limiting the range of treatment options and increasing the risk of it coming back if cured. 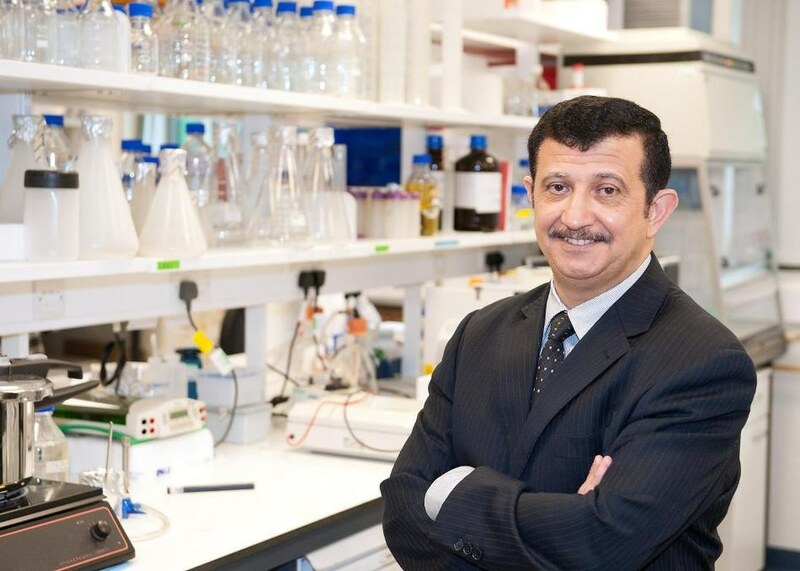 Prof El-Tanani has been working with colleagues from Ulster University, Sunderland and Queen’s University Belfast to come up with a special way of getting the new protein drug to the cancer cells and attacking them. The researchers have found that by putting the drug in a tiny particle first, which acts like a capsule, once it is injected it preserves it long enough to be carried to the cells before being released. Tests have shown the protein drug breaks down too early to work if injected by itself. “By developing a nanoparticle that can help this peptide enter triple negative breast cancer cells and block RAN we’ve brought this potential new treatment a step closer to the clinic,” said Professor El-Tanani. Professor El-Tanani is also working on a number of other potential RAN inhibitors, including a drug that has been already pre-clinically validated in breast and lung cancer and is ready for clinical trials. The University of Bradford is looking for funding and investor support to support more development of those drugs. 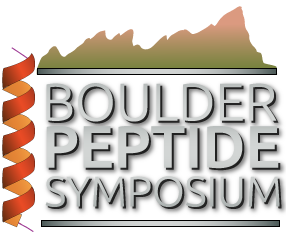 Abstract: A novel neuroendocrine peptide, pituitary adenylate cyclase activating peptide (PACAP), was found to have an important role in carbohydrate or lipid metabolism and was susceptible to dipeptidyl peptidase IV degradation. It can not only mediate glucose-dependent insulin secretion and lower blood glucose by activating VPAC2 receptor, but also raise blood glucose by promoting glucagon production by VPAC1 receptor activation. Therefore, its therapeutic application is restricted by the exceedingly short-acting half-life and the stimulatory function for glycogenolysis. Herein, we generated novel peptide-conjugated selenium nanoparticles (SeNPs; named as SCD), comprising a 32-amino acid PACAP-derived peptide DBAYL that selectively binds to VPAC2, and chitosan-modified SeNPs (SeNPs-CTS, SC) as slow-release carrier. The circulating half-life of SCD is 14.12 h in mice, which is 168.4- and 7.1-fold longer than wild PACAP (~5 min) and DBAYL (~1.98 h), respectively. SCD (10 nmol/L) significantly promotes INS-1 cell proliferation, glucose uptake, insulin secretion, insulin receptor expression and also obviously reduces intracellular reactive oxygen species levels in H2O2-injured INS-1 cells. Furthermore, the biological effects of SCD are stronger than Exendin-4 (a clinically approved drug through its insulinotropic effect), DBAYL, SeNPs or SC. A single injection of SCD (20 nmol/kg) into db/db mice with type 2 diabetes leads to enhanced insulin secretion and sustained hypoglycemic effect, and the effectiveness and duration of SCD in enhancing insulin secretion and reducing blood glucose levels are much stronger than Exendin-4, SeNPs or SC. In db/db mice, chronic administration of SCD by daily injection for 12 weeks markedly improved glucose and lipid profiles, insulin sensitivity and the structures of pancreatic and adipose tissue. The results indicate that SC can play a role as a carrier for the slow release of bioactive peptides and SCD could be a hopeful therapeutic against type 2 diabetes through the synergy effects of DBAYL and SeNPs. Abstract: Differentiating between chronic obstructive pulmonary disease (COPD) patients with normal (PiMM) or deficient (PiZZ) genetic variants of alpha-1 antitrypsin (A1AT) is important not only for understanding the pathobiology of disease progression but also for improving personalized therapies. This pilot study aimed to investigate whether urinary peptides reflect the A1AT-related phenotypes of COPD. Urine samples from 19 clinically stable COPD cases (7 PiMM and 12 PiZZ A1AT) were analyzed by capillary electrophoresis coupled to mass spectrometry. We identified 66 peptides (corresponding to 36 unique proteins) that differed between PiZZ and PiMM COPD. Among these, peptides from the collagen family were the most abundant and divergent. A logistic regression model based on COL1A1 or COL5A3 peptides enabled differentiation between PiMM and PiZZ groups, with a sensitivity of 100% and specificity of 85.71% for COL1A1 and a sensitivity of 91.67% and specificity of 85.71% for COL5A3. Furthermore, patients with PiZZ presented low levels of urinary peptides involved in lipoproteins/lipids and retinoic acid metabolism, such as apolipoprotein A-I and C4, retinol-binding protein 4 and prostaglandin-H2 d-isomerase. However, peptides of MDS1 and EVII complex locus, gelsolin and hemoglobin alpha were found in the urine of COPD cases with PiZZ, but not with PiMM. These capillary electrophoresis coupled to mass spectrometry-based results provide the first evidence that urinary peptide content differs between PiMM and PiZZ patients with COPD. Highlights of Peptide Biology and Chemistry Journal Articles, News	Comments Off on Does urinary peptide content differ between COPD patients with and without inherited alpha-1 antitrypsin deficiency? Due to the important interactions of proenkephalin fragments (e.g., proenkephalin [107–140] Peptide F) to enhance activation of immune cells and potentially combat pain associated with exercise-induced muscle tissue damage, we examined the differential plasma responses of Peptide F to different exercise training programs. Participants were tested pre-training (T1), and after 8 weeks (T2) of training. Fifty-nine healthy women were matched and then randomly assigned to one of four groups: heavy resistance strength training (STR, n=18), high intensity endurance training (END, n=14), combined strength and endurance training (CMB, n=17), or control (CON, n=10). Blood was collected using a cannula inserted into a superficial vein in the antecubital fossa with samples collected at rest and immediately after an acute bout of 6 X 10 RM in a squat resistance exercise before training and after training. Prior to any training, no significant differences were observed for any of the groups before or after acute exercise. With training, significant (P≤0.95) elevations were observed with acute exercise in each of the exercise training groups and this effect was significantly greater in the CMB group. These data indicate that in untrained women exercise training will not change resting of plasma Peptide F concentrations but will result in significant increases in the immediate post-exercise responses. Such findings appear to indicate adrenal medullary adaptations opioid production significantly altered with exercise training. There is a well-documented association between cyclic changes to food intake and the changing ovarian hormone levels of the reproductive cycle in female mammals. Limited research on appetite-controlling gastrointestinal peptides has taken place in females, simply because regular reproductive changes in steroid hormones present additional experimental factors to account for. This study focussed directly on the roles that gastrointestinal-secreted peptides may have in these reported, naturally occurring, changes to food intake during the rodent estrous cycle and aimed to determine whether peripheral changes occurred in the anorexigenic (appetite-reducing) hormones peptide-YY (PYY) and glucagon-like peptide-1 (GLP-1) in female Wistar rats (32-44 weeks of age). Total forms of each peptide were measured in matched fed and fasted plasma and descending colon tissue samples for each animal during the dark (feeding) phase. PYY concentrations did not significantly change between defined cycle stages, in either plasma or tissue samples. GLP-1 concentrations in fed plasma and descending colon tissue were significantly increased during proestrus, just prior to a significant reduction in fasted stomach contents at estrus, suggesting increased satiety and reduced food intake at this stage of the cycle. Increased proestrus GLP-1 concentrations could contribute to the reported reduction in food intake during estrus and may also have biological importance in providing the optimal nutritional and metabolic environment for gametes at the potential point of conception. Additional analysis of the findings demonstrated significant interactions of ovarian cycle stage and fed/fasted status with age on GLP-1, but not PYY plasma concentrations. Slightly older females had reduced fed plasma GLP-1 suggesting that a relaxation of regulatory control of this incretin hormone may also take place with increasing age in reproductively competent females.